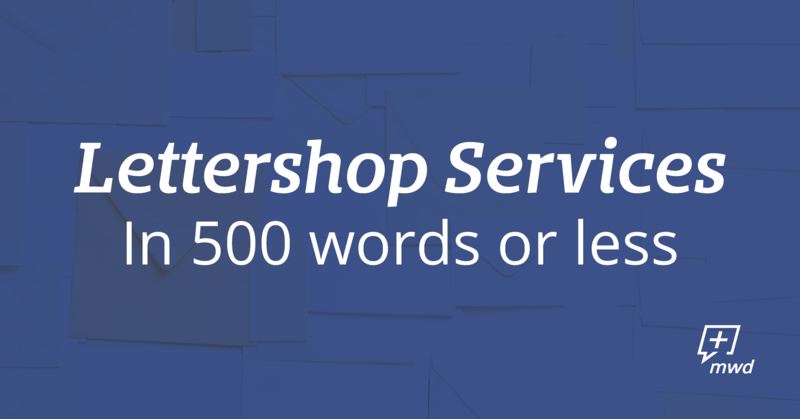 It’s a given that your lettershop provider should save you time, trouble, and have a positive impact on your costs. 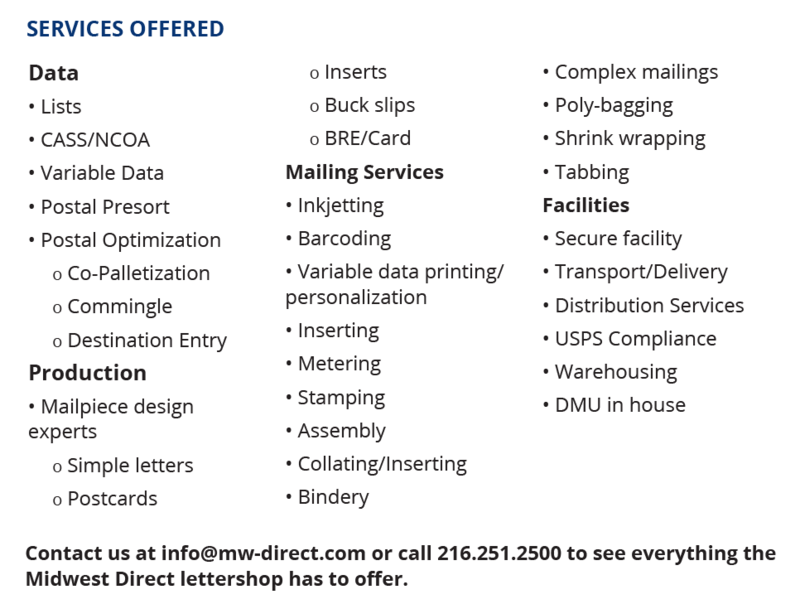 At Midwest Direct, we have the facility and team to get your mail projects out the door and to your clients quickly and with as few touches as possible. If your mailings have gotten too complicated or time consuming to do in house, it may be time send your mailing to a business partner like Midwest. Our team can take your mailing from list through print, assembly, and off to the USPS all in one facility. We provide the best quality every step of the way, especially when it comes to personalization. Not only can we spray on addresses, we can also offer variable data printing on every part of your mailing. We even help you figure out how to design your mail piece – just ask! To ensure we can offer our clients the best quality, efficiently and costs, we continuously update equipment. And we have a USPS Detached Mail Unit (DMU) in the building to offer direct entry into the postal system! Complex mail projects are our specialty! If your mailing needs are complex with versioning or inserting, we handle it and keep you within postal regulations. Midwest is full of postal experts who are ready to take on your mailing needs.